Beauty tenfold! 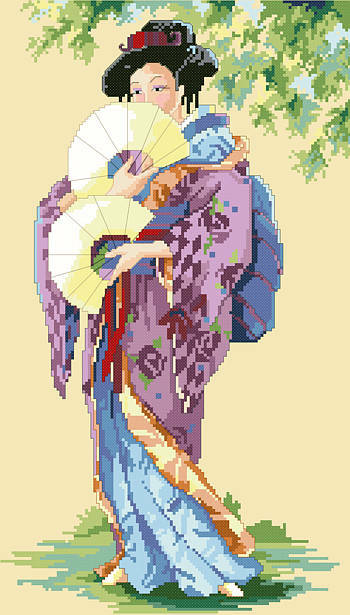 Sweeping kimono and delicate fans create a beguiling portrait of an Oriental Lady worked in counted cross stitch. Contents: Stitch Count 124w X 217h, finished size 14 ct: 8-7/8" X 15-1/2"